“You could fry an egg on it” is how one patient with psoriatic arthritis (PsA) described her skin flare in a 2015 study. 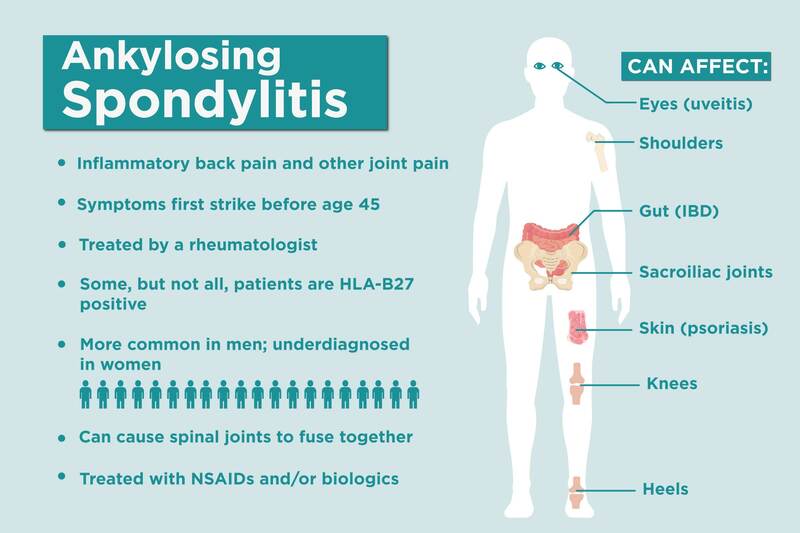 Affecting up to one-third of people with the inflammatory skin condition psoriasis, psoriatic arthritis is a double-whammy that has the hallmarks of both psoriasis (skin rashes) and inflammatory arthritis (joint pain). These painful symptoms may increase at certain times, called flares or flare-ups. Science hasn’t come as far in understanding psoriatic arthritis flares as it has with other types of inflammatory arthritis, such as rheumatoid arthritis. 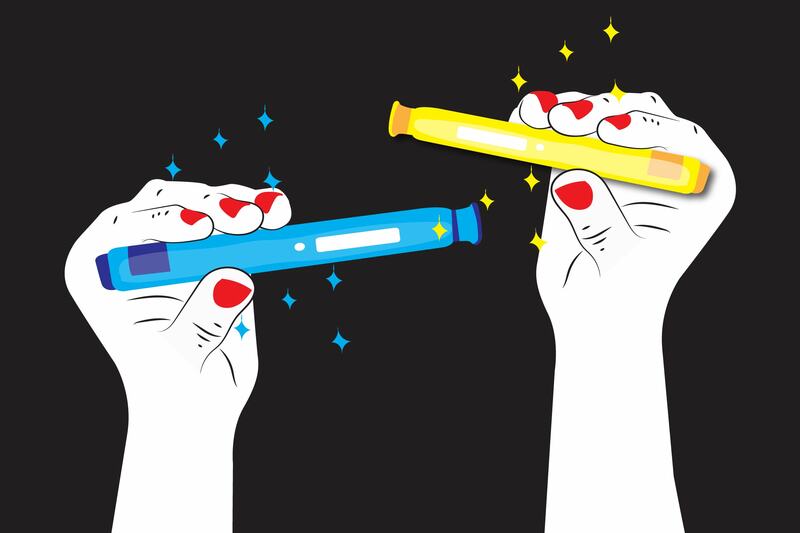 “Flares are one of the toughest things to pin down because there’s no real set definition a flare, which could mean different things to different people,” says Elaine Husni, MD, MPH, a rheumatologist at Cleveland Clinic. Because of this, it can be hard for patients — especially those recently diagnosed with psoriatic arthritis — to know when it’s happening. What actually triggers a PsA flare in the body is also largely unknown. “We wish we knew — if we knew we could stop the flares,” Dr. Husni says. In addition, triggers can vary widely from person to person and even change throughout your life, Crow says. More research on psoriatic arthritis flares is sorely needed, but here’s what we know so far. As with other types of inflammatory arthritis, an increase in joint problems may signal a flare is coming on. “Sometimes the joint swells, it gets more red, it gets more achy,” says Dr. Husni. But to make thing more complicated, Dr. Husni says that joint flares and skin flares in psoriatic arthritis are often separate. “They probably do flare at different times — but for some people they do flare at the same times, so it’s really variable, which makes the flare even harder to define,” she says. Dr. Husni also says that a psoriatic arthritis flare usually doesn’t go away after an hour or two. “If you get better right away we don’t really consider that a flare, which usually lasts over a couple of days or a week,” she says. But, if the symptoms are really severe, you should still call your doctor even if it’s only been a short time. “There’s no magic number of days or hours — it’s more of how it affects your activities of daily living,” Dr. Husni says. Skin infections or injury can cause an eruption of symptoms at the site. Getting sick can also bring on a flare, as can pushing yourself too hard. “Sometimes people have a cold and that triggers it — and then in addition they can’t take their immunosuppressant medicationuntil they get better,” Dr. Husni says. Learn more about how to care for your skin with psoriatic arthritis. Dr. Husni says smoking, eating fried or sugary foods, and being overweight can cause your psoriatic arthritis symptoms to become worse. A skin flare is a bit easier to identify, and a diagnosis would be made with a rheumatologist and dermatologist. “We work very closely with the dermatologist — it’s important that they are involved in the treatment decision,” Dr. Husni says. PsA flare-ups can be so hard to pin down that both professionals we talked to suggested keeping a brief diary of your symptoms to help your doctor diagnose when they are happening, and why. “I recommend that people keep a symptom diary over time so that they can keep track of the conditions that might have preceded their flares in their lifetime, so that they can respond more proactively in the future,” Crow says. “Unfortunately often it’s most clear in retrospect.” You can use our ArthritisPower app to track your symptoms and disease activity and share your results with your doctor. Non-medical short-term treatments should be put in place as well. “Immediately we usually recommend activity modification: You have to destress and deactivate your life for a couple days,” Dr. Husni says. “It doesn’t mean you become a couch potato, but you look at your schedule and develop strategies — this might not be the time to volunteer for that event.” In addition, she says to immediately start to get enough good sleep, if you’re not already. With eating habits, Dr. Husni says it’s most important to consume nutrient-dense foods, rather than going on a “pop culture” diet like gluten-free. “If there are certain foods that trigger you then you should avoid them, but we always recommend a very colorful plate and to put a variety of non-processed foods on the table,” she says. As you become more familiar with your flares, you can work out a plan with your doctor for when you can self-manage and when you need to call, Dr. Husni says. But when it doubt, it’s better to reach out. “Patients with chronic diseases tend to get habituated to pushing through pain, and sometimes are tempted to wait a long time before checking in with their doctors,” Crow says. 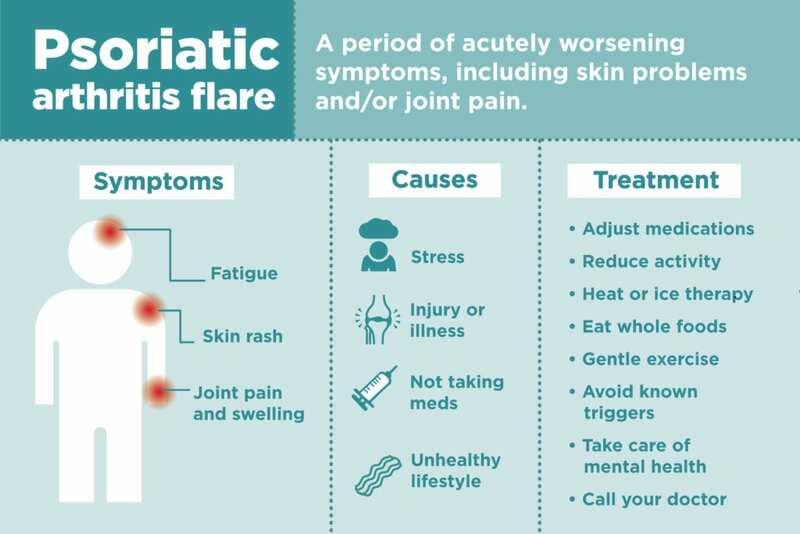 “It’s often harder to control a flare-up once it’s gotten really severe, so checking in proactively is usually advised.” Even for established patients, a flare after not having one for a while may signal a progression of the disease, so it’s best to check in.